The popularity and profitability of online communities have been growing the past 10 years and it doesn’t seem to be slowing down. Online communities are now a billion dollar market, which helps business small and large alike create new opportunities for themselves and the audience they cater to. According to Vision Critical, 77% of companies believe an online community can increase awareness, exposure and credibility. Community is what gives social media and the internet in general it’s power. People are more likely to trust a stranger online than an advertisement, and with influencer marketing taking over ad strategy, the integrity of online communities are more important than ever. Besides the fact that 86% of marketers think that branded online communities benefit core business processes, these online tribes are the perfect tools for networking and building sisterhood. Many women have formed real friendships offline from the connections made in their online circles. 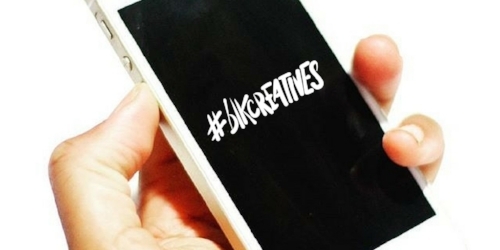 Blkcreatives is where creative and ambitious creative people of color unite. Their twitter chats, events and the humility of founder Melissa Kimble makes connecting with like-minded women easy. You Need Tribe is making sisterhood and women empowerment for women of color a priority. You can always find them uplifting the timeline and creating content around self-love, sisterhood and spirituality. Her Movement was founded by Kyshira Moffett originally as a way to help there get ahead in their careers. Today, she hosts a monthly Twitter chat, annual conference and teaches women how to build and grow a successful brand. Her Movement truly embodies what sisterhood is all about. Black Girl Fly Magazine is easily one of our favorite Girl gangs creating an amazing sisterhood through online content. Black Girl Fly is all about supporting, informing and uplifting Black women and their team has created true sisterhood through the platform. PR Girl Manifesto is an online community dedicated to connecting women who work in public relations, digital marketing and media. Built on the idea that you need your squad to help you reach your goals, they serve as bridge between you and other career oriented women. Black Girls In OM is creating a virtual wellness portal for women of color. They also bring their sisterhood offline through curated events but with the launch of their Twitter chat, their online community of supportive women is growing stronger. Pretty Girls Sweat is the online community inspiring young girls to become the healthiest version of themselves. They host amazing events with celebrity endorsers where being physically fit is the goal. Pretty girls seat is inspiring a nation of young women to take their health seriously and make friends while doing it. Shela Marie is a trap yoga enthusiast and natural hair advocate who created Curvy, Curly, Conscious for women of color who are all of the above. What begins as a community connected through her online content and periscopes is taken offline to her amazing wellness events all over the country. Her Agenda has been bridging the gap between the goals of women and their reality for years. But the sisterhood created by Rhonesha Byng goes beyond the Her Agenda blog - there's also a Slack group readers can join to get easy access to her, contributors and all of the powerful women featured on the site. Black Girl Nerds is an online community dedicated to creating content for women of color who enjoy comics, cartoons and all other quirky things. It's a safe space for women to share their love for sci-fi focused shows, movies and books. If it's considered nerdy, they're making it look cool. What are your favorite online communities?